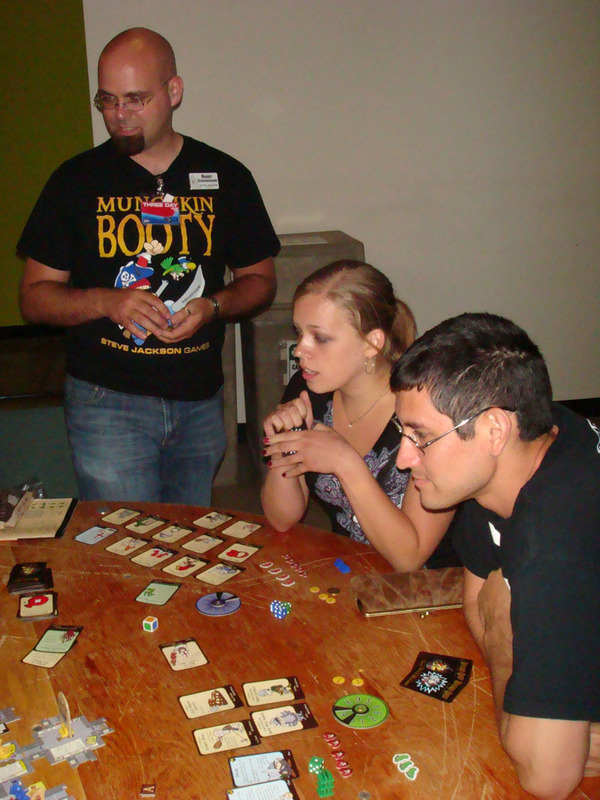 Randy has run quite a few Munchkin Quest demos this summer. That isn't a surprise -- I mean, it's a major new release, from our flagship game line. You've got to expect us to push it a little, right? At PAX, no pushing was necessary. Gamers ate it up, and asked for seconds. Every session was full, and some waited over an hour to play. During the last game on Sunday -- when everyone knew that if they didn't play now, they weren't going to be able to play at all -- each pawn had two players, working together to kick down doors and level up. Plus, the normal crowd of observers was double the normal size.